The construction of CNB yachts is based on the incorporation of all the know-how within our boatbuilding yard located in Bordeaux on an outstanding site. Yachts from the shipyard of Construction Navale Bordeaux or CNB are all about modern elegance, quality, and seaworthiness. Founded by Dieter Gust and Olivier Lafourcade—passionate sailors themselves—CNB has become a world-renowned company that has produced some of the world’s most popular sailboat models, like the Mari-Cha II, the Hamilton II, and the Grand Bleu Vintage. Each CNB yacht, both one-off and semi-custom, is imbued with the passion, mastery, and commitment of its architects, designers, and engineers—a fact for which the numerous accolades that the brand has received over the past three decades stand as testament. From their idyllic home in Bordeaux, France, CNB’s yachts have now made their way to the sparkling waters of the Philippines. Inquire about these one-of-a-kind vessels through Europa Yachts, the Philippines’ premier yachting authority . Compared to other boatyards with long and illustrious histories, Construction Navale Bordeaux is quite young, although it has its origins in a place with a colorful naval past. Established by friends Dieter and Olivier in 1987, CNB was founded on the banks of the Garonne River, which flows through the port city of Bordeaux. The site was occupied previously by Chantiers et Ateliers du Sud-Ouest, which famously built and launched the France II in 1911, then the largest sail-and-engine ship. 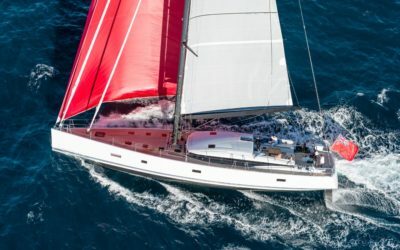 Two years after its inception, CNB launched its very first vessel, a 92-foot yacht christened Mari-Cha II designed by celebrated naval architect German Frers. Three years later, in 1992, CNB joined Groupe Beneteau, with the goal of raising investments for greater industrial production. The move proved to be beneficial, and CNB has since diversified its portfolio to include professional fishing boats, catamarans, and various passenger vessels. Thirty years later, CNB continues to be a reliable name in the luxury yacht industry. It has built a range of one-off and semi-custom yachts, including the one-of-a-kind CNB 76, designed by the esteemed naval architectural firm Briand Yacht Design and famed interior designers Rafael Bonet and Jean-Marc Piaton. They continue to adhere by their philosophy of producing elegant and seaworthy yachts that are always a pleasure to sail. CNB spares no expense in building their exquisite yachts. All of their know-how—from their design prowess to their excellent craft building methods—are poured into each and every vessel, resulting in yachts that are elegant inside and out, in addition to being dependably seaworthy. Whether you’re sailing in the CNB 76, a masterful yacht with panoramic views and functional yet comfortable spaces, or the CNB 66, a well-proportioned family yacht with a distinguished look, you can count on a safe and smooth-going experience from cruising to docking and back again. 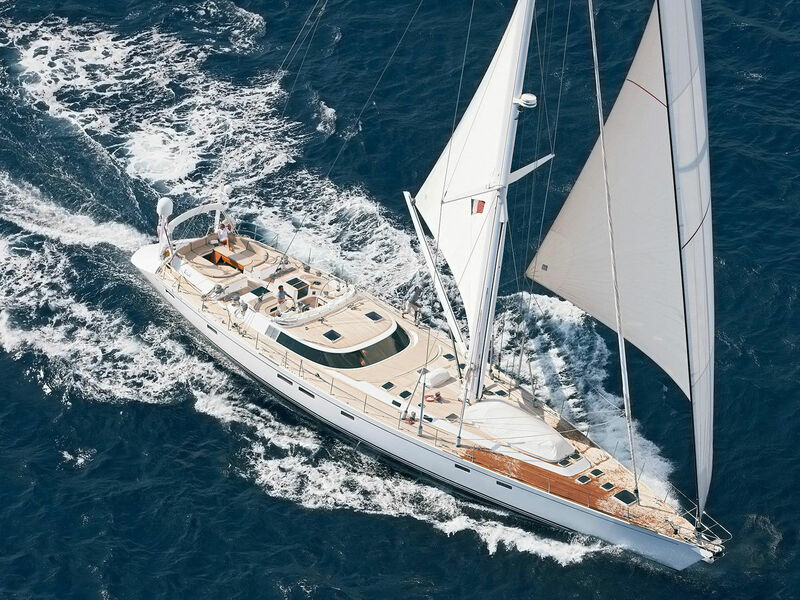 CNB has earned well-deserved acclaim for their semi-custom yachts, including the elegant yet robust Bordeaux 60. This yacht, the oldest member of the CNB custom line, can satisfy even the most experienced sailors performance-wise with its powerful engine and large galley. No matter which CNB yacht you’re sailing, however, you can expect it to be breathtakingly elegant and easy to handle. If you love sailing, CNB will make you love it even more. Experience the grandeur, comfort, and safety of a CNB yacht. Contact Europa Yachts to know more about the most luxurious boats from the most trusted yacht builders. 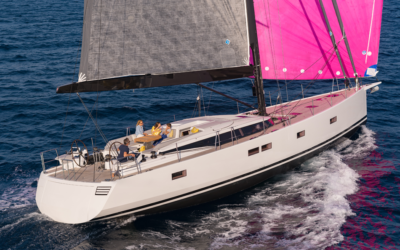 We’ll help you with everything you need to know about the CNB yachts in our collection so you can choose which one is the best for your sailing lifestyle. For your inquiries, contact us by sending an email to info@europayachts.net. You may also call us at (+632) 553 2027 or (+63) 917 657 0045.